First ingredient in bottled barbecue sauce: high fructose corn syrup. If I am what I eat, I certainly don’t want to be a processed sugar. If I’m going to have sweet and tangy barbecue sauce, it’s going to be one I make and can feel good about. 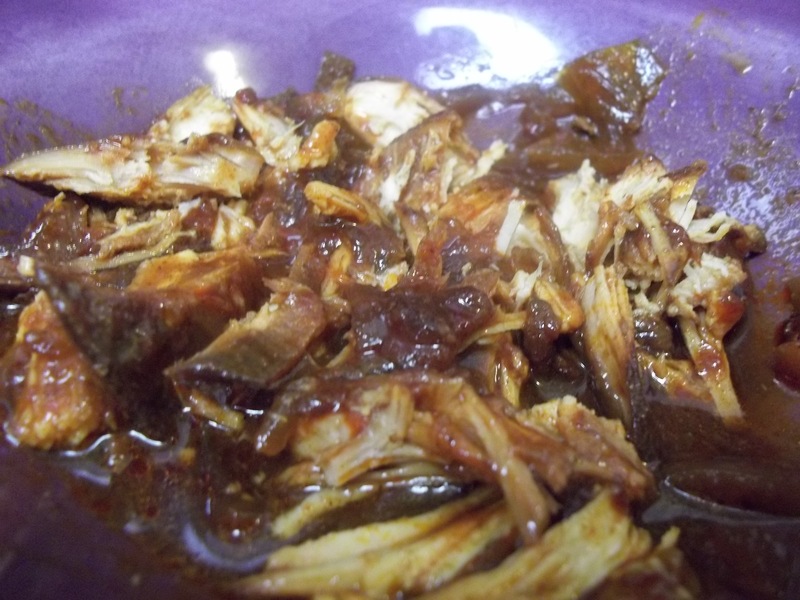 Here’s how to make homemade pulled chicken in the crockpot. In a crockpot, put 3-4 chicken breasts or 9-12 tenderloins. Add ketchup, cider vinegar, brown sugar, olive oil, and chopped onion. For seasoning, add a few shakes of chili powder, cinnamon, smoked paprika, cumin, and salt (about 1 tsp. each). Turn crockpot on low and cook 4-5 hours. Serve on a sandwich or in a bowl.